“UK FREAKS! We are bringing the Halestorm Tattoo Studio with us for the first time. It will be set up and open in bars and shops in town from 12pm on. Come down before the show, hang out with other Freaks and get a tour tattoo! Now the band is making it even easier for fans to show their everlasting support of the band with some creative flash design that are available in black and grey or color. With stops in Sheffield, Glasgow, Birmingham, Manchester, London, and Bristol fans should already be lining up to get inked. The designs range from Izzy’s signature explorer guitar and the Halestorm logo to a classic skull and cross bones. UK FREAKS! We are bringing the Halestorm Tattoo Studio with us for the first time. It will be set up and open in bars and shops in town from 12pm on. Come down before the show, hang out with other Freaks and get a tour tattoo! Pre show tattoo venues: Sheffield: Dove and Rainbow Glasgow: @victoriousglasgow Birmingham: @theflapper Manchester: @jimmys London: @skunxtattoo Bristol: @thehatchetinn Message @darrentattoo for all tattoo inquiries. 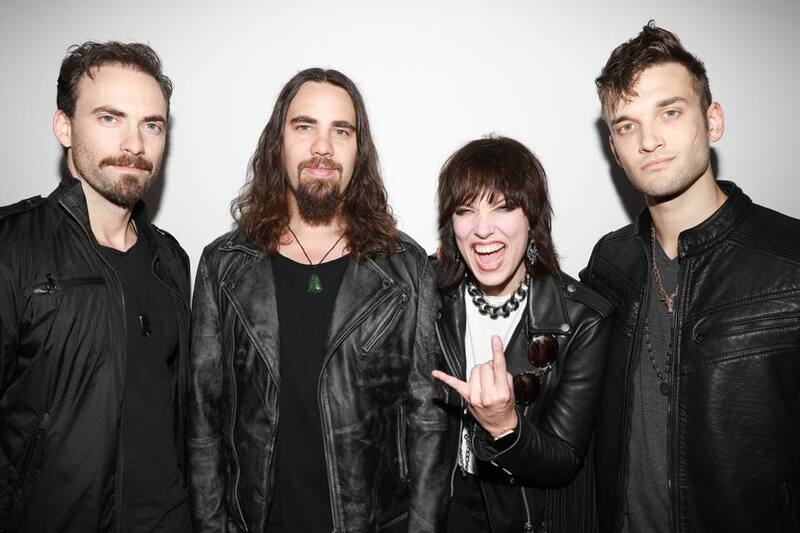 Tagged England, Halestorm, Izzy Hale, September, tattoo, Tour, UK, warner music. Bookmark the permalink.